We reflected on the sacred seal of the Sacrament of Reconciliation (Penance) last week. The Church is so strict about the secrecy required in this sacrament because of the critical importance of availing ourselves of God's mercy and having our sins absolved. 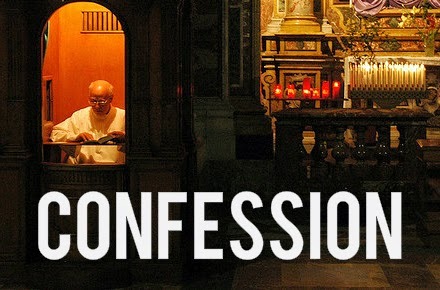 There is no reason why we should stay away from Confession as long as we intend to make a valid confession. In the case of serious sins, a person needs to go to confession, otherwise these sins remain on his soul. In order for it to be Confession or Reconciliation, there are certain conditions. First, the penitent must actually confess his sins to a priest. It must be done with sorrow (contrition) which includes the purpose of amendment. This means one may not confess what he intends to do, or say that he is sorry for what he did, but is going to do it again. The penitent's intention is not to sin again. Even though he knows his weaknesses, he will do all in his power with God's help to avoid sin. Also, the person must make a complete confession, that is, confess all the sins he remembers since his last worthy confession. The Act of Contrition says it all. "O, my God, I am heartily sorry for having offended Thee..." I am serious about my regret because I know that I have disobeyed God. "...I dread the loss of Heaven and the pains of hell, but most of all because they offend Thee, my God, Who are all good and deserving of all my love." Fear of the loss of God is sufficient sorrow. It's called imperfect contrition. We, however, should strive for perfect contrition, that is, being truly sorry because we went against God. It comes from love of God. But, no one can be sure if he has perfect contrition. Nevertheless, we should want it. "I firmly resolve, with the help of Thy grace, to sin no more and to avoid the occasions of sin." Here's the amendment, meaning we will change our lives to avoid the sins we've just confessed. Finally: "Amen." We stake our claim on this. We are serious about this sorrow. Now all of this sounds like a tall order. But, we should not be afraid to make good confessions. God knows our weaknesses. He is most pleased with our efforts even if we fail. The point is that we love Him, we are sorry for each and every sin, we want Him to forgive us, we go to confession for absolution and we do our best to live better, to live in His grace.